What’s the difference between raw and S-Log ProRes – Re: FS5 raw output. Raw is the unprocessed (or minimally processed) data direct from the sensor. It is just the brightness value for each of the pixels, it is not a color image, but we know which color filter is above each pixel, so we are able to work out the color later. In the computer you take that raw data and convert it into a conventional color video signal defining the gamma curve and colorspace in the computer. This gives you the freedom to choose the gamma and colorspace after the shoot and retains as much of the original sensor information as possible.Of course the captured dynamic and color range is determined by the capabilities of the sensor and we can’t magically get more than the sensor can “see”. The quality of the final image is also dependant on the quality of the debayer process in the computer, but as you have the raw data you can always go back and re-encode the footage with a better quality encoder at a later date. Raw can be compressed or uncompressed. Sony’s 12 bit FS-raw when recorded on an Odyssey or Atomos recorder is normally uncompressed so there are no additional artefacts from compression, but the files are large. The 16 bit raw from a Sony F5 or F55 when recorded on an R5 or R7 is made about 3x smaller through a proprietary algorithm. ProRes is a conventional compressed color video format. So a ProRes file will already have a pre-determined gamma curve and color space, this is set in the camera through a picture profile, scene file or other similar settings at the time of shooting. The quality of the ProRes file is dependant on the quality of the encoder in the camera or recorder at the time of recording, so there is no way to go back and improve on this or change the gamma/colorspace later. In addition ProRes, like most commonly used codecs is a lossy compressed format, so some (minimal) picture information may be lost in the encoding process and artefacts (again minimal) are added to the image. These cannot easily be removed later, however they should not normally present any serious problems. It’s important to understand that there are many different types of raw and many different types of ProRes and not all are equal. The FS-raw from the FS5/FS7 is 12 bit linear and 12 bit’s are not really enough for the best possible quality from a 14 stop camera (there are not enough code values so floating point math and/or data rounding has to take place and this effects the shadows and low key areas of the image). You really need 16 bit data for 14 stops of dynamic range with linear raw, so if you are really serious about raw you may want to consider a Sony F5 or F55. ProRes is a pretty decent codec, especially if you use ProResHQ and 10 bit log approaches the quality of 12 bit linear raw but without the huge file sizes. Incidentally there is very little to be gained by going to ProRes 444 when recording the 12 bit raw from an FS5/FS7, you’ll just have bigger files and less record time. Taking the 12 bit raw from an FS5 and converting it to ProRes in an external recorder has potential problems of it’s own. The quality of the final file will be dependant on the quality of the debayer and encoding process in the recorder, so there may be differences in the end result from different recorders. In addition you have to add a gamma curve at this point so you must be careful to choose the correct gamma curve to minimise concatenation where you add the imperfections of 12 bit linear to the imperfections of the 10 bit encoded file (S-Log2 appears to be the best fit to Sony’s 12 bit linear raw). Despite the limitations of 12 bit linear, it is normally a noticeable improvement over the FS5’s 8 bit internal UHD recordings, but less of a step up from the 10 bit XAVC that an FS7 can record internally. What it won’t do is allow you to capture anything extra. 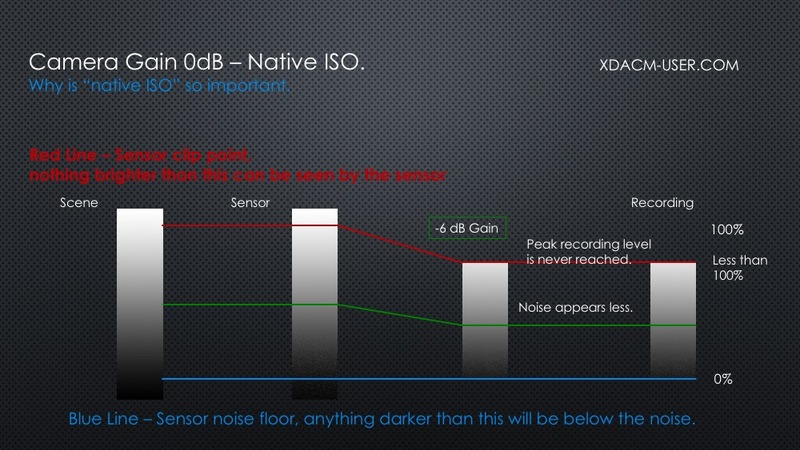 It won’t improve the dynamic range, won’t give you more color and won’t enhance the low light performance (if anything there will be a slight increase in shadow noise and it may be slightly inferior in under exposed shots). You will have the same dynamic and color range, but recorded with more “bits” (code values to be precise). Linear raw excels at capturing highlight information and what you will find is that compared to log there will be more textures in highlights and brighter parts of your captured scenes. This will become more and more important as HDR screens are better able to show highlights correctly. Current standard dynamic range displays don’t show highlights well, so often the extra highlight data in raw is of little benefit over log. But that’s going to change in the next few years so linear recording with it’s extra highlight information will become more and more important. What does Rec-2020 on the PXW-FS7 II really mean? So, as you should have seen from my earlier post Sony has included Rec-2020 as a colorspace in custom mode on the new FS7 II. But what does this mean and how important is it? When would you use it and why? Recommendation ITU BT.2020 is a set of standards created by the International Telecommunications Union for the latest and next generation of televisions. Within the standard there are many sub-standards that define things such as bit depth, frame size, frame rates, contrast, dynamic range and color. The colorspaces that Sony’s cameras can capture. The Rec-2020 addition in the the FS7 II specifically refers to the color space that is recorded, determining the range of colors that can be recorded and the code values used to represent specific tones/hues. First of all though it is important to remember that the FS7 II shares the same sensor as the original FS7, the FS5 and F5. 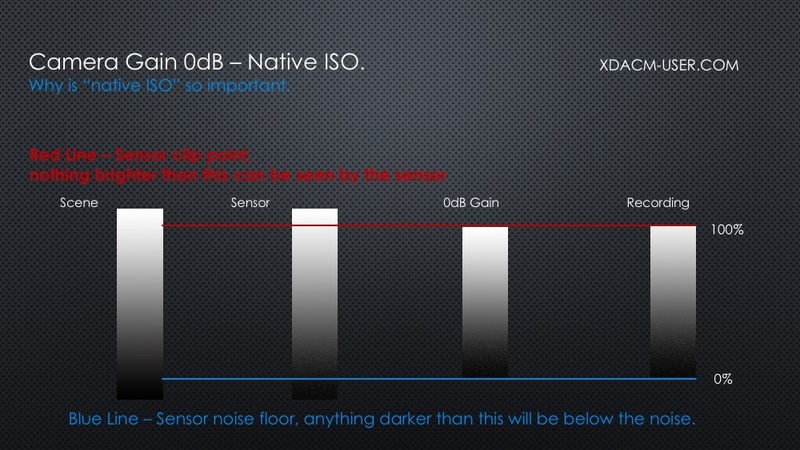 Sony has always stated that this sensor is essentially a “709” sensor. The sensor in Sony’s PMW-F55 can capture a much greater color range (gamut) than the F5, FS5 and FS7, only the F55 can actually capture the full Rec-2020 color space, the FS7 II sensor cannot. 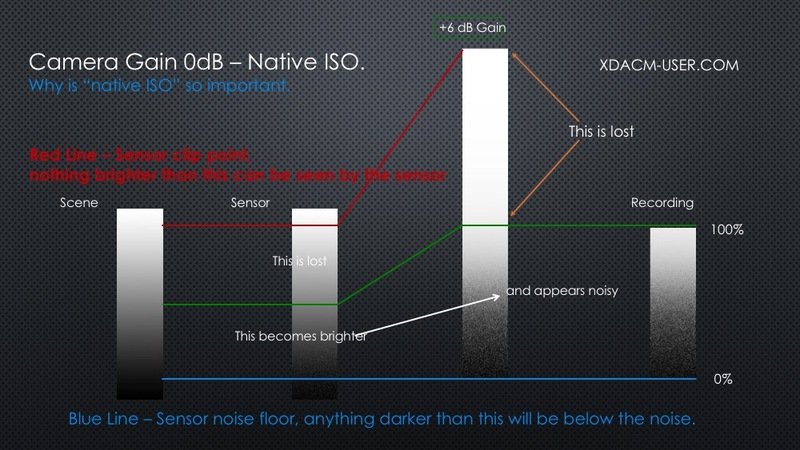 It’s very difficult to measure the full color gamut of a sensor, but from the tests that I have done with the F5 and FS7 I estimate that this sensor can capture a color gamut close to that of the DCI-P3 standard, so larger than Rec-709 but not nearly as large as Rec-2020 (I’d love someone to provide the actual color gamut of this sensor). So given that the FS7 II’s sensor can’t actually see colors all that far beyond Rec-709 what is the point of adding Rec-2020 recording gamut as the camera can’t actually fill the recording Gamut? Similarly the F5/FS5/FS7 cannot fill S-Gamut or S-Gamut3. The answer is – To record the colors that are captured with the correct values. If you capture using Rec-709 and then play back the Rec-709 footage on a Rec-2020 monitor the colors will look wrong. The picture will be over saturated and the hues slightly off. In order for the picture to look right on a Rec-2020 monitor you need to record the colors at the right values. By adding Rec-2020 to the FS7 II Sony have given users the ability to shoot Rec-2020 and then play back that content on a Rec-2020 display and have it look right. You are not capturing anything extra (well, maybe a tiny bit extra), just capturing it at the right levels so it at least looks correct. As well as color, Rec-2020 defines the transfer functions, or gamma curves to you and me, that should be used. The basic transfer function is the same as used for Rec-709, so you can use Rec-709 gamma with Rec-2020 color to get a valid Rec-2020 signal. For full compatibility this should be 3840×2160 progressive and 10bit (the Rec-2020 standard is a minimum of 10bit and as well as 3840×2160 also includes 7680×4320). But, one of the hot topics right now in the high quality video world is the ability to display images with a much greater dynamic range than the basic Rec-709 or Rec-2020 standards allow. There is in fact a new standard called Rec-2100 specifically for HDR television. Rec-2100 uses the same colorspace as Rec-2020 but then pairs that bigger colorspace with either Hybrid Log Gamma or ST2084 gamma, also know as PQ (Perceptual Quantiser). As the FS7 II does not have PQ or HLG as gamma curves you cannot shoot material that is directly compatible with Rec-2100. But what you can do is shoot using S-Log2/S-Log3 with S-Gamut/S-Gamut3/SGamut3.cine which will give you the sensors full colorspace with the sensors full 14 stop dynamic range. Then in post production you can grade this to produce material that is compatible with the Rec-2100 standard or the Rec-2020 standard. But of course you can do this with an original FS7 (or F5) too. So, when would you actually use the FS7 II’s Rec-2020 colorspace rather than S-Log/S-Gamut? First of all you don’t want to use it unless you are producing content to be shown on Rec-2020 displays. Recording using Rec-2020 color gamut and then showing the footage on a Rec-709 display will result in washed out colors that don’t look right. You would probably only ever use it if you were going to output directly from the camera to a monitor that only supports Rec-2020 color or for a project that will be specifically shown on a standard dynamic range Rec-2020 display. So, IMHO this extra colorspace is of very limited benefit. For most productions regular Rec-709 or S-Log/S-Gamut will still be the way forward unless Sony add Hybrid Log Gamma or PQ gamma to the camera as well. Adding HLG or PQ however has problems of it’s own as the existing viewfinders can only show standard dynamic range images, so an external HDR capable monitor would be needed. Rec-2020 recording gamut is a nice thing to have and for some users it may be important. But overall it’s not going to be a deal breaker if you only have a standard FS7 as the S-Log workflow will allow you to produce Rec-2020 compatible material.